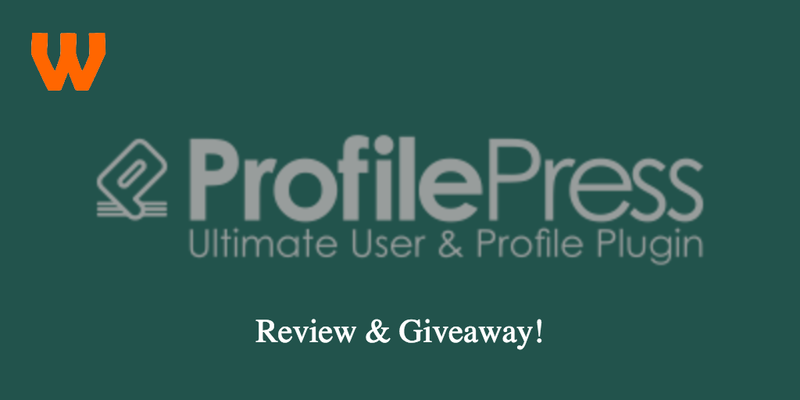 Recently I was contacted by the people behind ProfilePress about their plugin – ProfilePress. 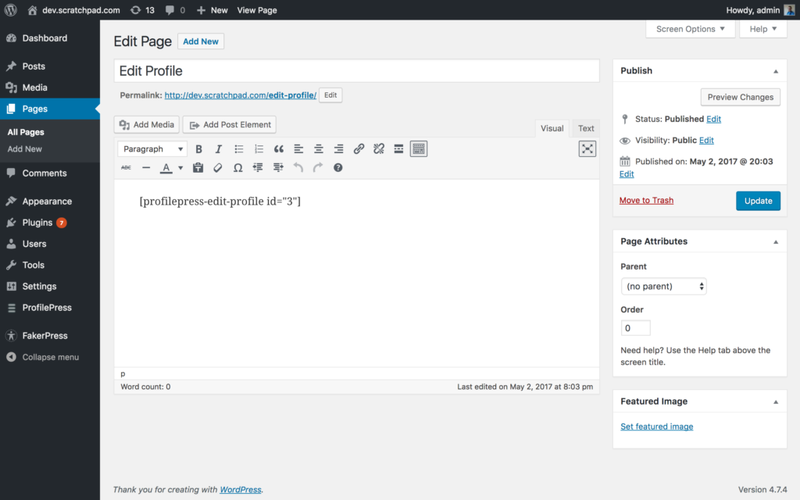 ProfilePress is a developer focussed plugin that will allow users to build their own profiles on the site. If your new site needs login capabilities, or profile capabilites, ProfilePress could be a solution to you to handle this functionality. It comes with a multitude of features, including AJAX enabled forms, sign ups from social media sites such as Facebook and Twitter, as well as a robust templating system. 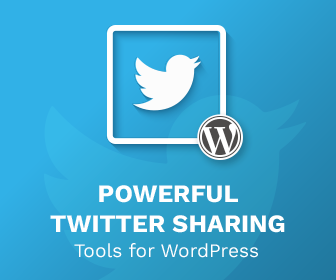 Here is our review of this plugin. Installation and setup was quick and simple. Using the standard method of installing plugins via Upload, we were able to get up and running pretty quickly. On first time activation we have a number of warnings and methods on how to set up the plugin. Overall I felt that was slightly overboard, and I’m not keen of running the plugin with an extra plugin, but I can understand why it’s done. A huge positive that on my research of this plugin I discovered that earlier versions required you to have a licence to access the Settings pages in the WordPress dashboard. I can confirm that is no longer the case. The licence covers updates and support as standard, but not the actual code. This is a very good thing, bravo ProfilePress! Upon installation, and setup, you’re taken to the ProfilePress menu, Setup is quite thorough with a bunch of option pages present on the site. The first is the general settings page. 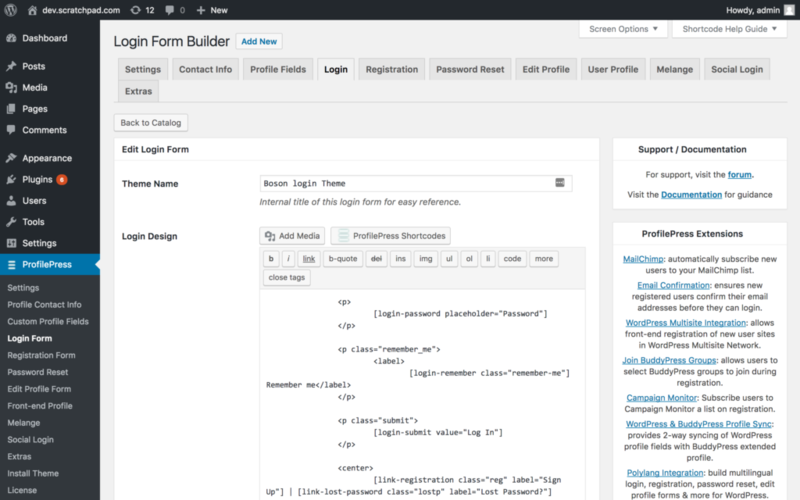 This covers how the forms work on login, and how emails are sent to the client. It’s incredibly thorough as you can send emails via HTML as well as incredibly unique features such as automatically logging in users on creation of your profile. 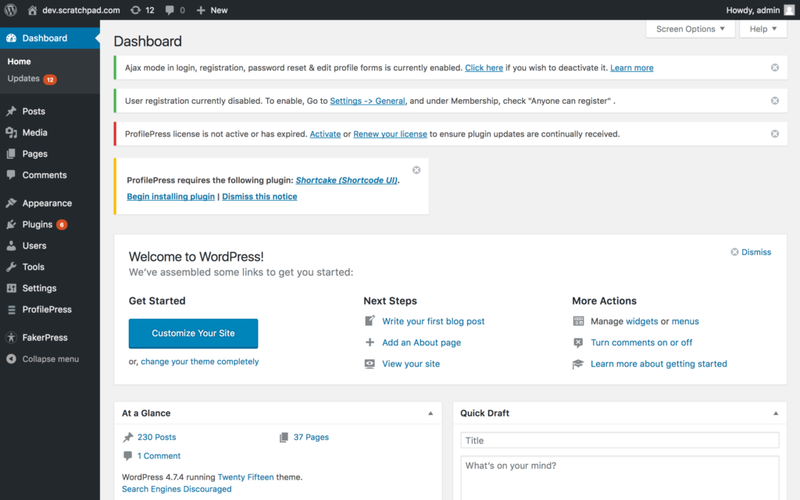 Furthermore, you can integrate fully with bbPress or BuddyPress. The next two pages are “Contact Information” and “Profile Fields”. This will allow you to define all the fields on your profile. It does seem a bit strange to split this into two, as I couldn’t find a reason why to. They are explicitly different, the “Contact info” was just one field and “Profile Fields” as listed above was a lot more thorough. I did feel that Profile Fields was a little bit overkill at times, particularly the field key. Most developers who would use this field would work with whatever field they get given. The next few pages concerns creating the profile forms on the site. These allow you to create various templates for each individual form on the site, such as the login form and the edit profile forms. These offer a handy preview and do require you to be familiar with HTML and CSS, but it does offer a helpful preview if you need it. Overall this section is probably the best you can make it, but it is still a bit unwieldy, I’d maybe include a second level navigation rather than tabbed setups. However the plugin helps you with the ability to clone the templates already present. If the templates don’t suit you there are extra templates available. The final two sections cover integrations with things such as Facebook, Twitter and Google, as well as the final section covering services such as reCAPTCHA. These work fine. Finally, pages are automatically created with the relevant shortcode on installation, so you don’t even have to set up the pages. Should you need further integrations there are some extra integrations available from the ProfilePress Extension store. When you create the pages you will notice that shortcodes are present and used. These are grabbed from the settings pages, the “id” attribute is used to define what profile template to use. It isn’t the best named but it works. Overall it’s quite simple to easily create profile pages on the site. Now onto the main crux of the pages on the site, and how they work. In all honesty, they work well. They work very well. For the process of testing this project we used a very simple login and signup (using email) and it allowed us to create the account. Signup was sent via email and once confirming our account we were in. Signup is generally simple, it can be a simple form or one that shows a lot of fields. It is entirely up to you. We then went to the Edit Profile, and made a few changes. Using the form styles in question it was incredibly easy to change the fields as a user. Anybody with any sort of experience can change these fields easily. When the page is saved it is saved via ajax, preventing a page load. Though you can switch it off but it works well. There’s nothing more to say really beyond that. It works and works well. 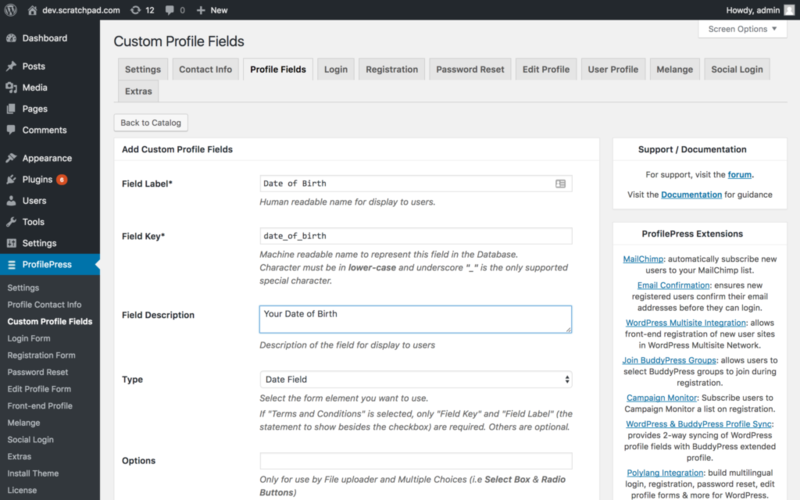 In conclusion the plugin seems like a great solution should you wish to create profile pages for users on your site, useful if you use something like bbPress or BuddyPress, and provide a lot of options. Social Logins are great and work well and easy to set up. However, it’s a bit clunky in the back end so it isn’t for those who are unfamiliar with CSS or HTML, but out the box if you can live with the default themes it’s pretty good. Price wise there’s a number of licences – from $59/year for a single site licence, to $599/year for a unlimited, lifetime licence with a lot of support and future updates. Licences keep you with support and updates for a year. We previously had a competition on this post. It’s now been closed. 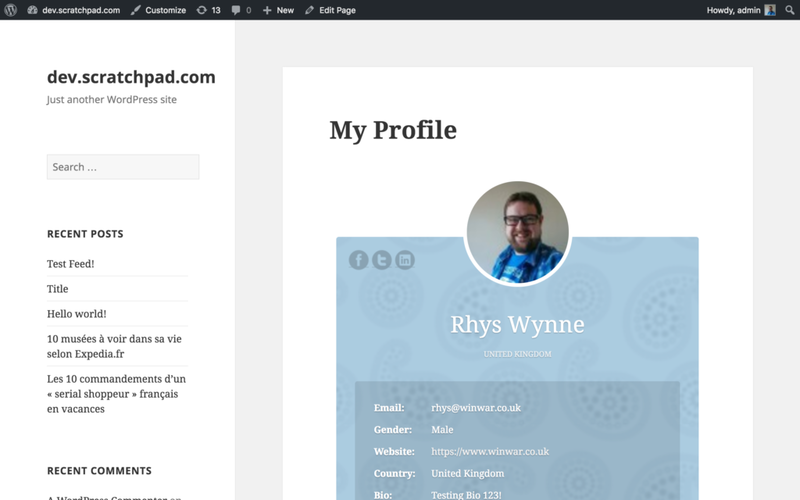 If you can get past the clunky back end, ProfilePress is the ideal solution for users to create profile pages. It is a decent plugin to do that. A lot of the earlier problems have been fixed but the poor back end does remain. 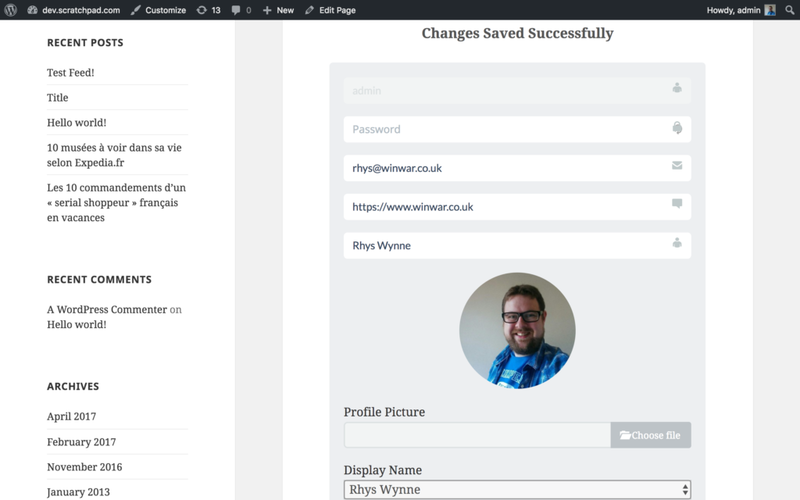 If you are a developer, and want to style front end pages this plugin is ideal, as you can design beautiful forms fairly easily, and don’t have to worry about integrating Facebook or Twitter. For this reason alone, this plugin is worth the price alone.